Massachusetts Legislative Update: Will Massachusetts residents soon be paying sales tax on their Amazon purchases? Should Amazon already be collecting Massachusetts sales tax? If you've been following the media reports about how Amazon’s recent “expansion” in Massachusetts gives the company nexus, or how Massachusetts may soon be enacting an “Amazon Law”, then you may think that Amazon should either be collecting Massachusetts sales tax already or soon will be. But much of what has been reported is less than accurate! Now before I jump into clarifying Amazon’s recent activity in Massachusetts (and whether that activity creates nexus or not) and what proposed legislation in Massachusetts will really do, I’ll add that this story was of particular significance to me because I happen to be a Massachusetts based consultant. And so, I’ve been closely following this development – and have read one too many stories that have reported less than accurate information. Does Amazon Already Have Sales Tax Nexus in Massachusetts? Several months ago media reports started surfacing about Amazon’s plans to open a facility in Cambridge, Massachusetts in early 2012. Many of these reports were incorrectly reporting that Amazon’s expansion into Massachusetts would translate into a sales tax collection requirement for the company. (See “Events converge to sharpen focus on Internet sales tax”, Boston Business Journal, 3/23/12) But this new “Amazon” facility would not be part of Amazon.com, Inc., the parent company, nor would the facility be part of either of Amazon’s U.S. retail entities – Amazon.com LLC or Amazon Digital Services, Inc. This new facility would house the employees and operations of an Amazon software development subsidiary, a2z Development Center, Inc., a separate legal entity. Under Massachusetts current law, a2z Development Center, Inc. would not create nexus for Amazon’s on-line retail business. Acquiring this Massachusetts based robotics company only intensified the chatter that Amazon had established a physical presence in Massachusetts and should begin collecting sales tax. But acquiring all of the shares of Kiva Systems, Inc. would mean that Kiva would be a 100% owned subsidiary. Unless Amazon took additional action, such as merging Kiva into one of Amazon’s retail entities, Kiva Systems, Inc. would remain a separate legal entity, which again, would not create nexus for Amazon’s on-line retail business. But neither the Cambridge facility of a2z Development Center, Inc. nor the North Reading headquarters of Kiva Systems, Inc. automatically create sales tax nexus for Amazon’s on-line retail entities. Now, if either a2z Development Center or Kiva Systems acted as agents for the retail side of Amazon’s business - let’s say that customers could return their Amazon purchases to the Cambridge office of a2z Development or to Kiva's Massachusetts headquarters - then the Coalition might have an argument. But it is highly unlikely that either the R&D subsidiary or robotics manufacturer, has acted or will act as agents for Amazon’s retail entities. Yes, I hate to tell the Coalition this, but under current Massachusetts law – their argument is not valid! Amazon does not currently have a sales tax collection responsibility in Massachusetts. But could things change in the future? Definitely! I’m not surprised that there's been some confusion about what legislation we may soon see passed in Massachusetts. This is because there have been four separate bills introduced during the current 2011-2012 Massachusetts Legislative session that could have impacted internet sales. But let’s look at what’s actually occurred in the Massachusetts legislature to date, and what the only Massachusetts proposal that stands a chance of passing really says. Before I continue, I'll point out that back in January of 2011, there were three “click-through nexus” bills introduced in the Massachusetts legislature; H.1731, An Act to Protect Main Street Retailers and Promote Sales Tax Fairness in the Commonwealth, S.1450, An Act Applying the Sales Tax to Certain Retail Sales Over the Internet, and S.1554, An Act to Protect Main Street Retailers and Promote Sales Tax Fairness in the Commonwealth. All three of these bills initially progressed through the legislative process, and ultimately all three were the focus of a public hearing on April 7, 2011. But all three of these proposals, which would have changed the definition of a vendor to include remote retailers with in-state marketing affiliates, went nowhere after the April 7, 2011 hearing. (And yes folks, I’m talking 2011, not 2012.) And so, for a while there, much of the media was reporting that Massachusetts could soon have an “Amazon Law” on the books. But there was one more related bill, H.1695, An Act to Promote Sales Tax Fairness for Main Street Retailers, introduced in January 2011 which was also discussed during the same April 7, 2011 hearing. However, unlike the three “click-through nexus” proposals, H. 1695 continued its journey through the legislative process and on 8/15/11, accompanied a new bill draft, H. 3673, also entitled, An Act to Promote Sales Tax Fairness for Main Street Retailers. And so, H. 3673 is the only proposal under serious consideration by the current Massachusetts legislature. But guess what? H. 3673 is not a “click-through nexus” proposal. Nor does H. 3673 contain expansive affiliate nexus language. So how will H. 3673 “promote sales tax fairness for Main Street Retailers?” What exactly does H. 3763 do? That’s right! Massachusetts could very well soon become a Streamlined Sales Tax (“SST”) member. And in anticipation of moving towards SST membership, H. 3673 also addresses the many associated issues such as approval of an amnesty period (SECTION 7A., H. 3673), use of Certified Service Providers (SECTION 6, H. 3763), monetary allowances for sales tax collection (SECTION 8, H. 3673) and use of an SST approved exemption certificate (SECTION 6(3), H. 3673). In other words, passage of H. 3763 alone would not give Massachusetts immediate authority to require Amazon, or any other remote retailer that lacks sales tax nexus to Massachusetts, to begin collecting the Commonwealth's sales tax. This authority would only come about if either the Main Street Fairness Act or the Marketplace Fairness Act is enacted by the end of 112th U.S. Congressional session and Massachusetts moves to full-member SST status. So there you have it – what’s really happening in Massachusetts! Now as I mentioned above, I mean no disrespect to the Coalition - the reality is I’m much more likely to shop at a local retailer than I am on-line. And I do sympathize with local retailers who feel like their stores have become “showrooms” for on-line shoppers. But the law is the law, and to argue that under current law a2Z Development, Inc. and Kiva Systems, Inc. automatically create nexus for Amazon’s retail entities is incorrect! As I mentioned above, neither of these entities act as agents for Amazon’s retail entities. Plus, I'm convinced the Coalition wasn't even considering an "agency" connection - they simply believe activity by any Amazon legal entity means "Amazon" as a whole has nexus in Massachusetts. But here's another point I need to make. I also happen to know Rich Jones, the leading Massachusetts state tax attorney cited in the Coalition’s letter and he is without a doubt, a highly respected authority on Massachusetts taxation. I also know that the Coalition did not specifically seek his advice when authoring their May 31st letter to the Commissioner, but simply incorporated statements he made during an interview with the New England Cable News (NECN) network. As a matter of fact, Mr. Jones commented on this development in a LinkedIn discussion and noted that he was "surprised to be quoted in (the Coalition's) letter" as he "never had any interaction with the Coalition". Mr. Jones' LinkedIn comment further states, "I am curious as to why the Coalition used my opinion to support its premise that Amazon is currently 'legally required to collect and remit state sales tax'. I certainly never reached that conclusion about Amazon in particular"......"if Amazon's physical presence in Massachusetts is through corporate affiliates that are not acting as agents for Amazon.com, Inc., then my conclusion would be the opposite of what the Coalition suggests." Although I realize what the Coalition attempted to do (cite the opinion of an expert to support their argument) I find it disconcerting that his comments were used without his approval as the letter gives the impression that Mr. Jones’s counsel was specifically requested. So are the Cambridge office of a2z Development Center Inc., and the acquisition of Kiva Systems, Inc. enough to require Amazon to begin collect sales tax already? Again, I say absolutely not! But could things change in the future? Absolutely! But not as quickly as some folks might think. At this point, how quickly would depend on what happens with the federal remote seller proposals – proposals which are currently all stalled “in committee”. But as far as H. 3673 goes - do stay tuned! The current formal session of the Massachusetts 187th Congress ends on July 31st, which means Massachusetts could soon begin its journey towards full SST membership. Missed my last post? Catch it here: "Massachusetts' Revised Guidance on Groupons & Sales Tax; An 'About Face' or Simply a More Reasonable Approach?" The above post is an expanded version of my July 3, 2012 post, "Amazon Sales Tax Nexus in Massachusetts? (Absolutely Not! 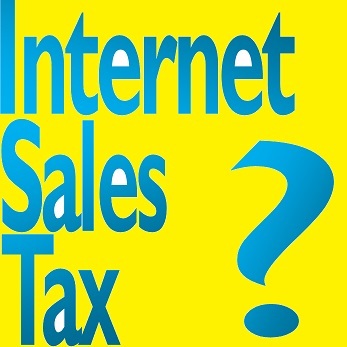 )", which I authored for SalesTaxSupport.com's Sales-Use Tax Issues, Ideas and Insights blog. See side bar and my "Contributions to Other Blogs and Websites" page for more about my contributions to SalesTaxSupport.com.